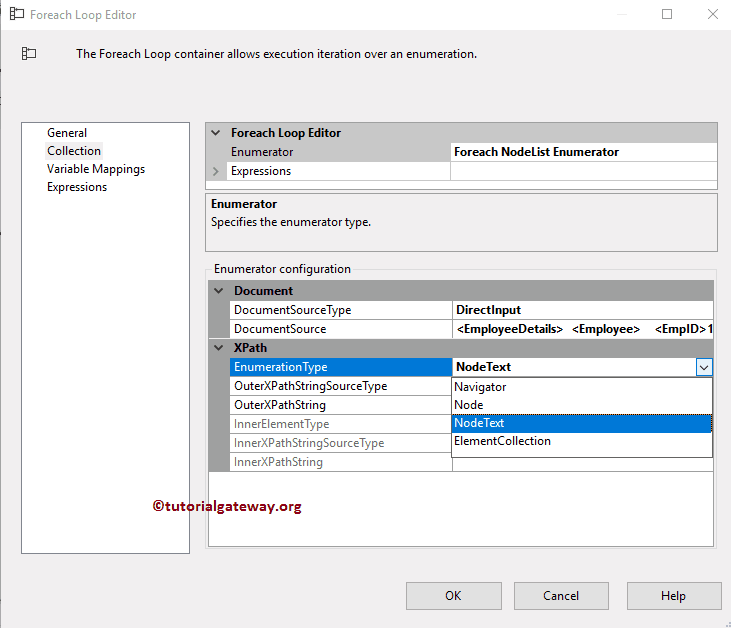 The SSIS Foreach NodeList Enumerator is useful to enumerate the XML nodes. 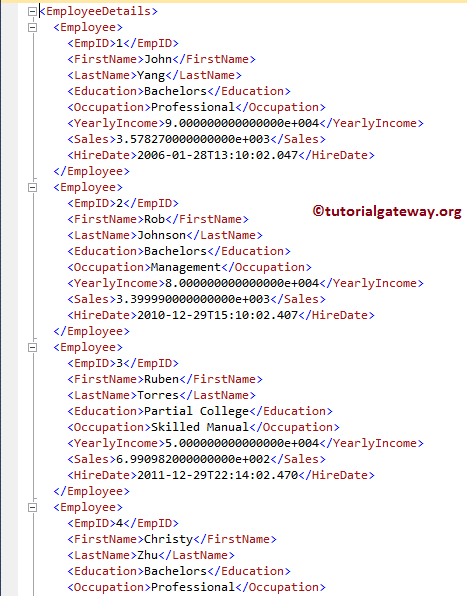 For example, you can traverse to any node in a XML file using this enumerator. 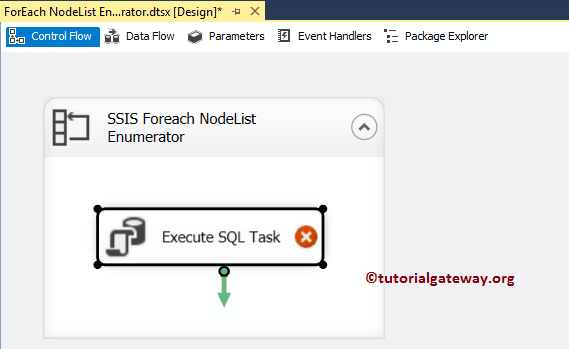 In this article we will show you, How to use this SSIS Foreach NodeList Enumerator with example. 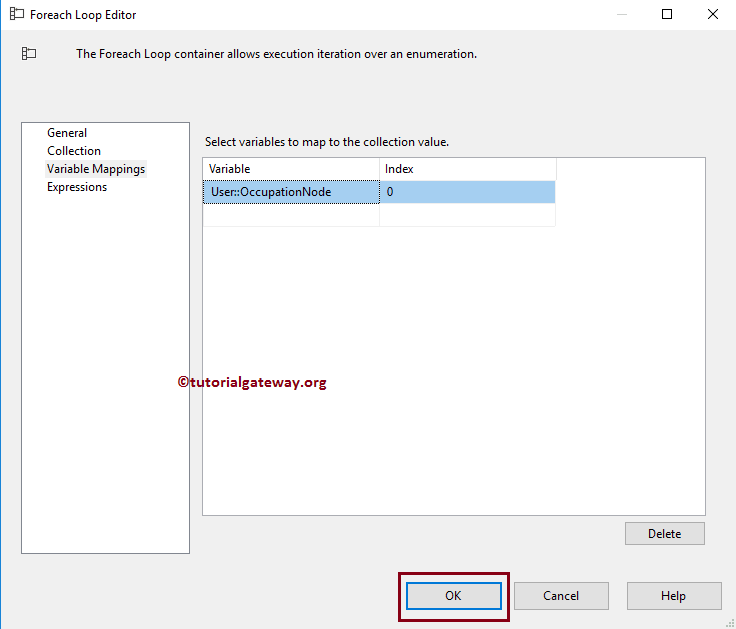 Next go to the Collections tab to select the Enumerator. 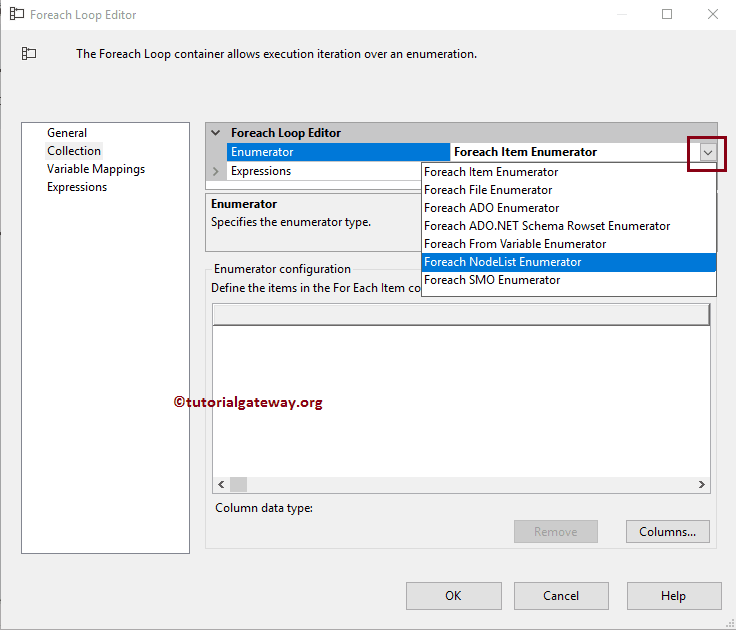 From the below screenshot you can see, we are selecting Foreach NodeList Enumerator because we want to loop over the XML nodes. 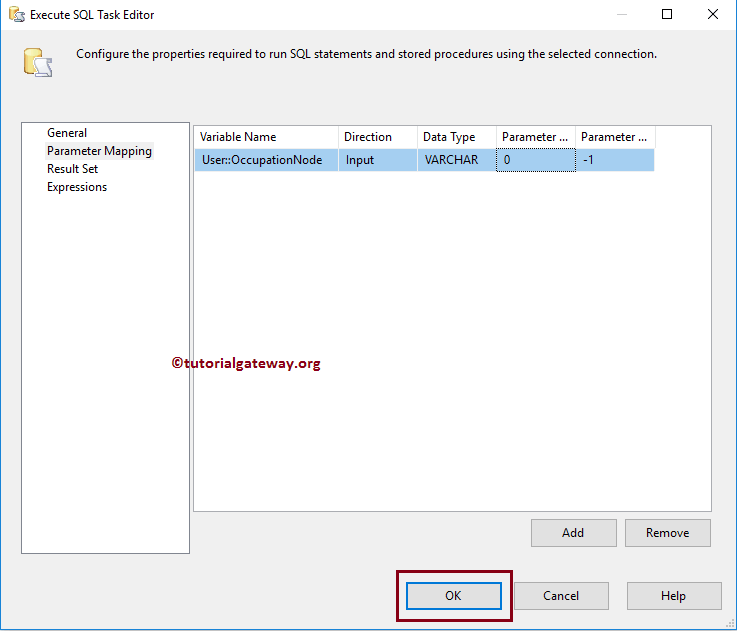 Following are the list of properties that you have to configure for this enumerator. 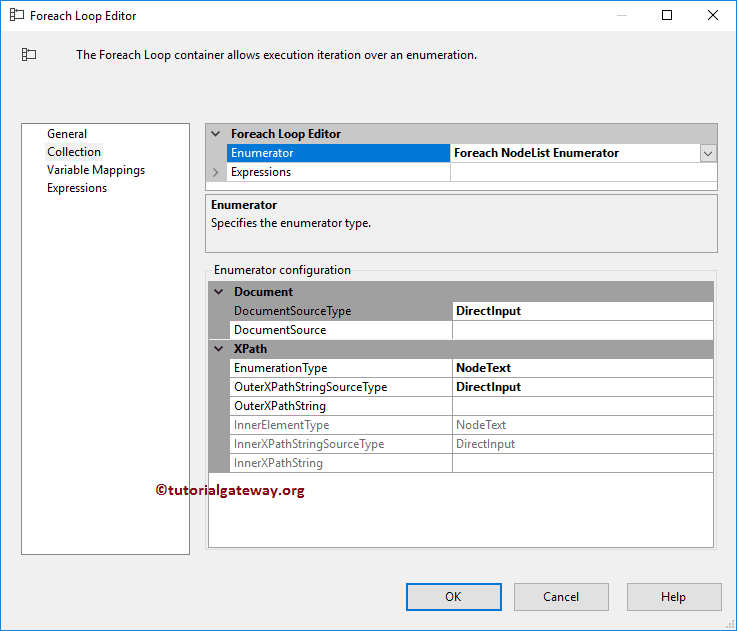 File Connection: It means, source is in a XML file present in the file system. You can use the next property to select the file. Variables: Source is present in the variable. 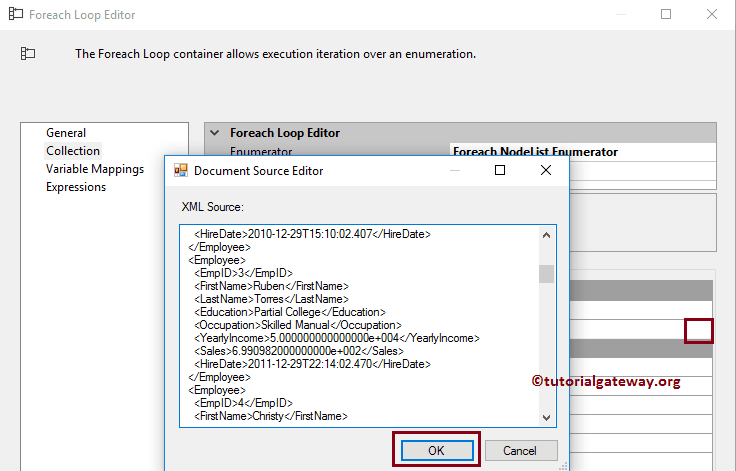 If you select this option then you have to select the variable name in the next option. 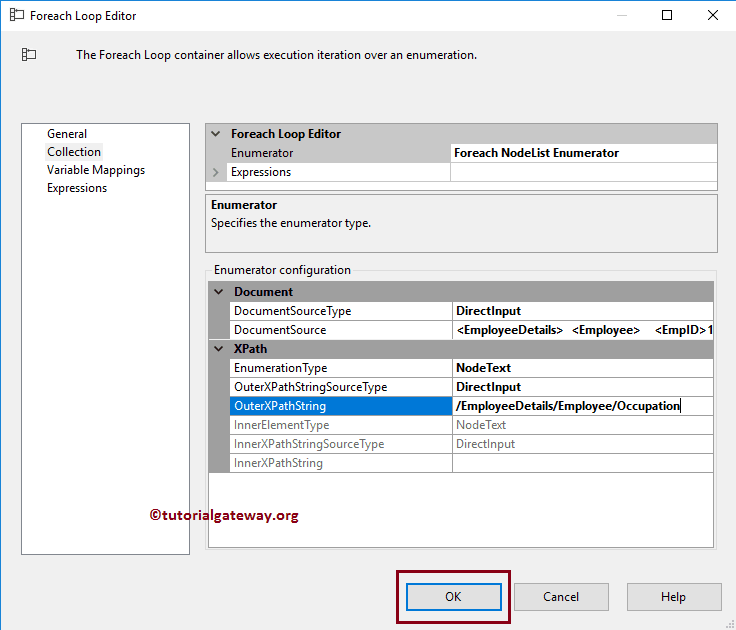 Direct Input: We want to insert the XML data directly into this editor. For now, we are selecting this option. Node: It will enumerate nodes. 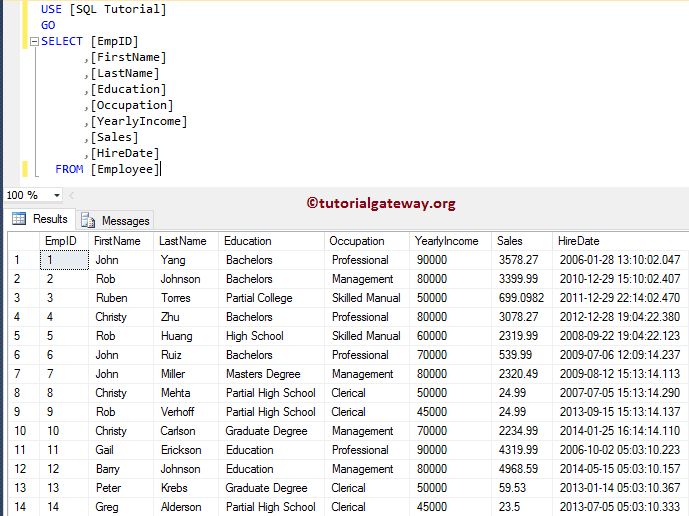 NodeText: This will enumerate text nodes. This is useful to narrow down your search. 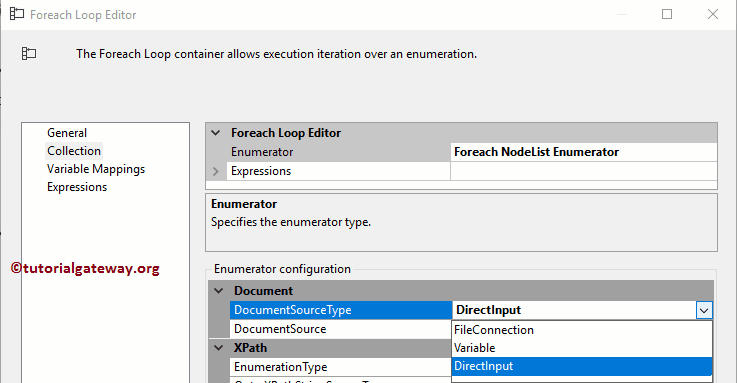 ElementCollection: This will enumerate element nodes returned by the Xpath. Next we are providing the path. 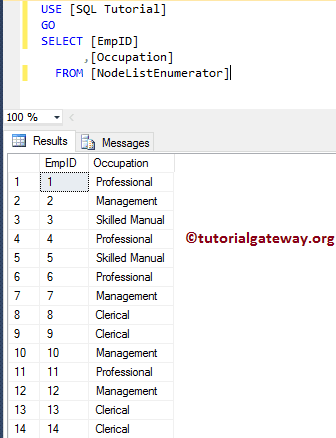 below path will navigate to Occupation node present in each Employ under the Employee details node. 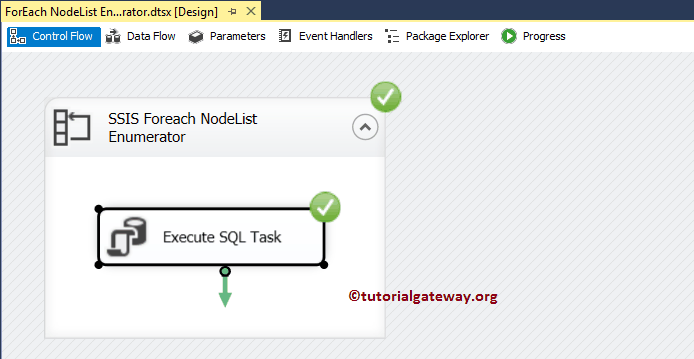 Now select the existing variable and assign it to index 0 as we shown in below screenshot. 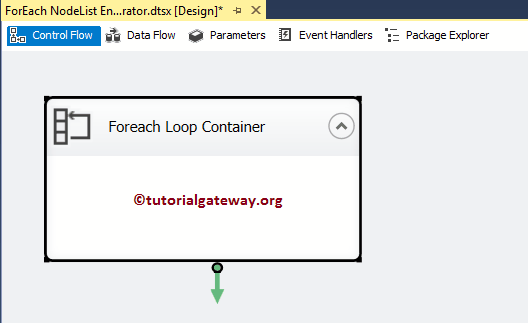 Once you are done, Click OK to finish configuring the Foreach Loop Container. 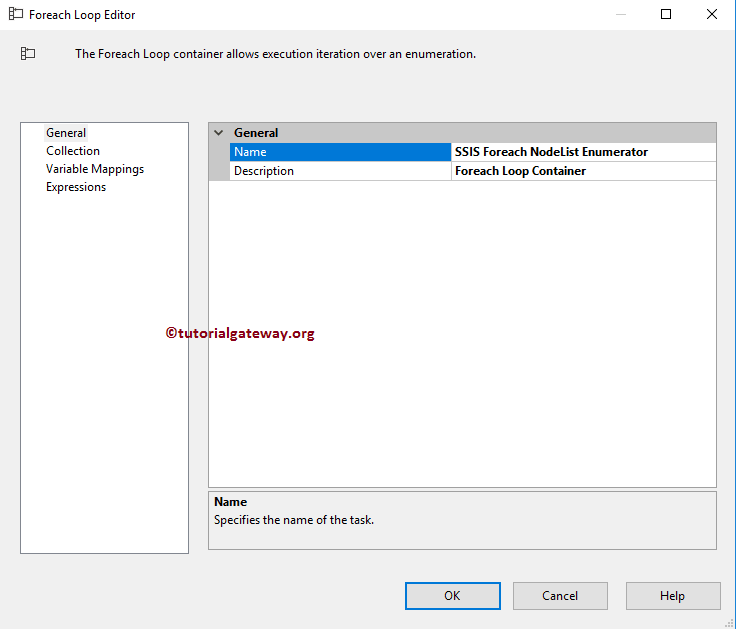 Next, Drag and drop the Execute SQL Task from toolbox to Foreach loop container. This task will help us to insert the values into our Empty table. 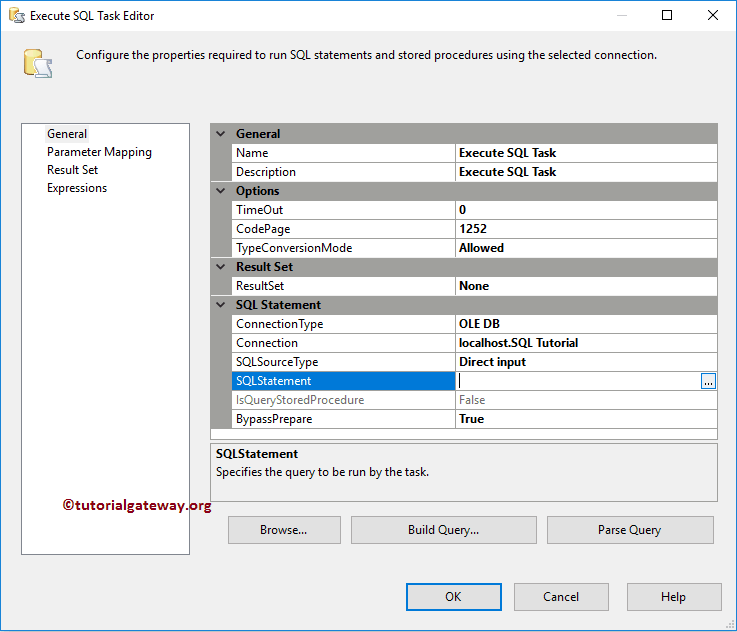 Double click on it will open the Execute SQL Task Editor window. 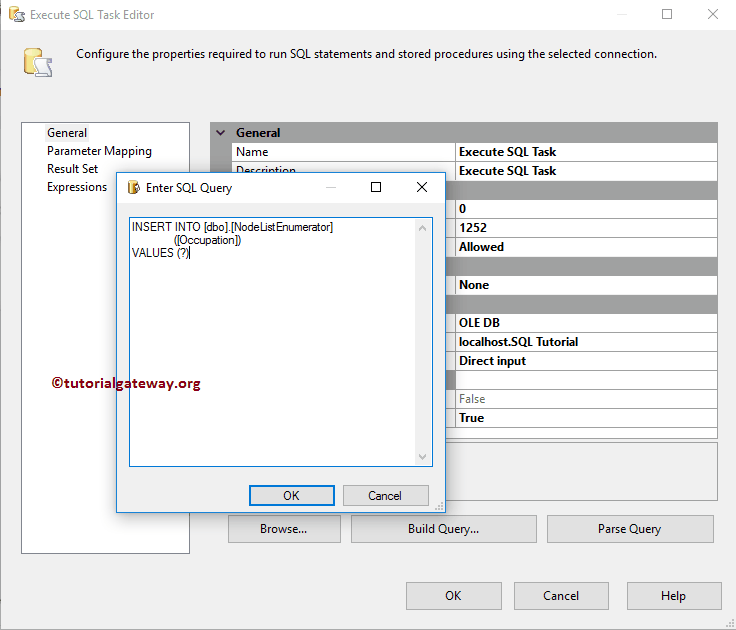 From the below screenshot you can observe that, we selected OLE DB as Connection type and selected the existing connection which is pointing to [SQL Tutorials] Database. 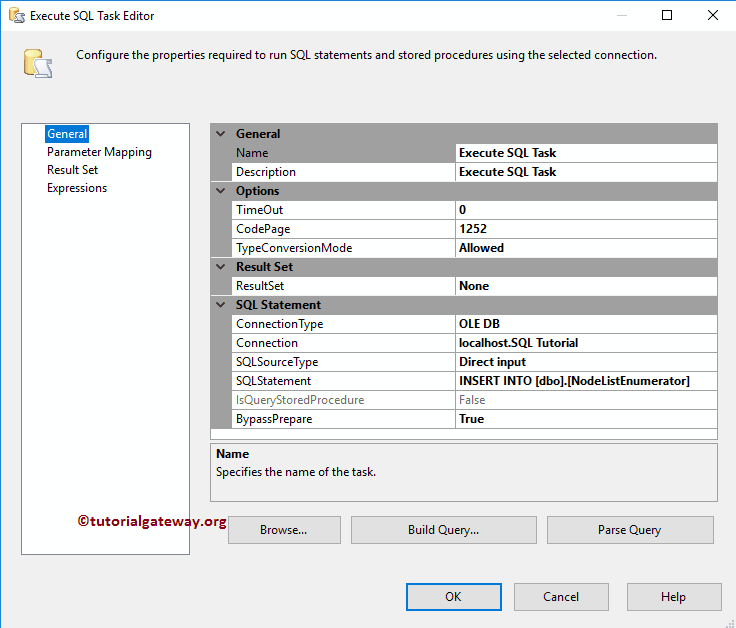 TIP: Please refer the OLE DB Connection manager article to understand the steps involved in creating new OLE DB Connection. 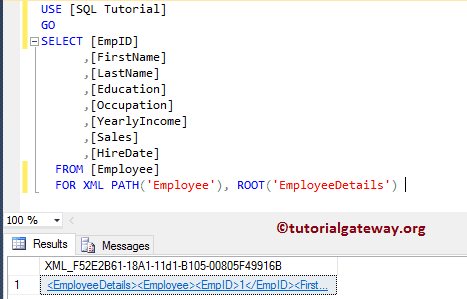 Next, we are writing the following SQL Query to insert the table name into SMO_Enumerator table. Here question mark will be replaced by the parameter.